Authors from around the state were honored during the FWA Conference. 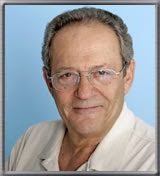 Over the next few days, I'll post articles about those honored by 2010 Royal Palm Literary Awards. Here's the start. Congratulations to Debbie Reed Fischer for the Published Book of the Year Award and to Heather Nickodem for the Unpublished Book of the Year Award. sucked into a cruel bullying campaign aimed at the frumpy new girl. Wonderland (Dutton, 2008). She sometimes plays hooky at the beach instead of writing. Heather Nickodem is a Navy veteran, Navy wife, and teacher of the Gifted. Tours of duty include Saudi Arabia, where she learned Arabic culture, customs, and language. In the previous post, you saw the winners of the Published Book of the Year Award and the Unpublished Book of the Year Award. Below, you will see those receiving awards in all of the individual categories. Congratulations to all of them. And, kudos to those managing the awards. It's quite a job... a labor of the love of writing. It's a beautifully, well-organized competition. Promise by Kristie Cook. Alexis Ames has a life full of promise …but not all promises can be kept. The Last Chronographer by Trevor T. Faulkner. A young man meets a mysterious girl from a secret world and is accidentally thrown into a conflict between her and a group of immortal killers as old as time. Ben’s Tale by Arnold Patrick Parker. America’s most notorious traitor explains himself to his doctor, Theodophilus Wilbrey, who stitches together an account of General Benedict Arnold’s life from his war stories. “The Cuban,” a Tampa cigar industrialist. The Dega by Shaun M. Darragh. 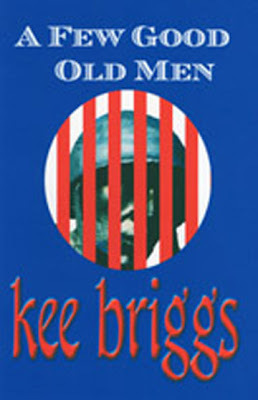 Former Peace Corps volunteer turned Special Forces soldier leads tribal irregulars in Vietnam, contending with revolt, inter-ethnic rivalries, and revenge killings, unaware that his lover’s ancestor is his principal adversary. Major Malfunction by Mary McCay. When freezing weather causes launch centers and contractors to play a deadly game of chicken over scrubbing a shuttle launch, the loser is the Orbiter California crew. A Tiger’s Heart by Eugene Orlando. A plantation owner’s daughter is disowned for abolitionist sentiments and gets revenge by participating in the Civil War as few other women dared: as a captain in the Union army. Ascent of Evil by Michael Brim (penname Michael Goldcraft). Anthropologist Steven Atticus found more than a preserved Viking corpse in that cold Canadian lake. He discovered the progenitor of the vampyre race, and that vampyres are real, genetically altered predators. The Sinner by K. Trap Jones. A lone farmer is chosen by God to test the boundaries of the seven deadly sins and their associated demons. The following are his translated entries. Never Accept a Job from Men Wielding Chainsaws by Ann Meier. A consultant with a reputation for calamities struggles to open an under-construction, ghoulish attraction that is as disaster prone as both the movies it showcases and she is. unsuspecting passengers into diamond smugglers. Breathless by Kathryn J. Bain. Lydia Frederickson has enough on her mind without being attracted to Matthew Winters, a motorcycle-riding preacher. However, a killer intends to see that their union never occurs. Obedient Heart by Janet L. Rockey. A worldly airline pilot and a young Christian widow reluctantly agree to a blind date. Jennifer struggles between her feelings for Jack and her determination to locate her missing brother. Love Tag by Peter Shianna. With megabucks and reputations at stake, a father’s ambition and an adopted son’s search for his biological parents converge with explosive consequences. Finding Frances by Janice M. Van Dyck. Frances Baldwin is ready for a good death, free from medical heroics. She asks her son to fight the medical system that wants to keep her alive at all costs. Secrets of the Charles by Susan Boyd. Three women solve the cold case of a relative murdered over fifty years ago, with the assistance of two Boston Police Department detectives. The victim’s death intertwines the lives of her family with her lover and his wife. God Doesn’t Love Us All the Same by Nina Guilbeau. A self-centered young woman is forever changed by an unexpected encounter with a homeless woman who shares her life story. Laps(e) by Fred Jaskowski. Chaos rules when a semi-dutiful son comes home to check on his semi-rational parents and ends up swimming on the edges of his own sanity. secrets and hope she can survive the truth. Ring Around the Moon by Mike Scott. A fallen ex-cop with more secrets than Victoria searches for a ruthless serial killer with a vendetta and an eye for women’s shoe fashions. How We Became Nancy and Bess by Ellen Klarpp Herbert. After an American man signs up with an unscrupulous Eastern European marriage bureau, his sister rushes to Krakow to stop him from making a stupid mistake, only to discover his mistake could be deadly for both of them. Red Sky at Night by Heather Nickodem. Star-crossed lovers on a U.S. Navy ship thwart al-Qaeda terrorists while trying to find a little paradise of their own. keeping her safe from sword-wielding assassins. Flight of the Golden Harpy by S.C. Klaus. On a futuristic jungle planet, Kari, a young woman, unravels the mysteries surrounding the harpies, feral winged creatures with beautiful humanoid bodies as Shail, the male golden monarch of the harpies, faces mankind and its cruel human hunters, hoping to save his flock from extinction. Vicious Circle by Lisa Iriarte. Assassins, audible healers, roguish pirates, evil demons, and unexpected romance combine in Vicious Circle—a science fiction/space opera with a touch of magical fantasy. Dead Air by Deborah Shlian and Linda Reid. Dead Air is a spellbinding, page-turning, top-notch medical mystery spackled with death and suicide in which spunky college talk-show host Sammy Greene turns detective to uncover the truth. The Gaelic Letters by R. Thomas Roe. A retired attorney becomes involved in a genealogical search for his Irish ancestors and falls prey to the internecine forces involved in the Irish conflict, which leads to tragic results. Shadow Cay by Leona DeRosa Bodie. Already reeling from maritime disasters, a war, and international terrorists, a vigilante and an amateur detective are destined for even darker days when they investigate the world’s most profitable enterprise. Unintended Consequences by Marti Green. Attorney Dani Trumball has only six weeks to save the life of George Calhoun, who’s set to be executed for a crime he claims was never committed. Valley of Darkness by Janet Schrader-Seccafico & Gabe Thompson. If you could save lives with a magic gem, would you? Valley of Darkness takes you into Cleopatra’s tomb and across Egypt in a tale of biological terrorists and love. What’s Cooking in the Faculty Lounge by Donna Meredith. Forty-year-old widow Molly Culpepper takes care of her sons and alcoholic father while her teaching job places more demands on her. Prejudice simmers below the surface of her school and throughout her small town—and even in subtle ways within her own heart. Once by Melissa Kosciuszko. He is her first but also her once. Rebecca needs to find the strength to be herself, but the man who helps her loses himself in the process. and resolution, she discovers love. Amazing Grapes by Kate W. LeSar. A seventy-three-year-old woman with inoperable cancer travels to Russia and learns that it’s never too late to change oneself and make amends. Cookies in Heaven by Charlene Anne Meeker. This is a true story of a grandfather and granddaughter’s relationship. When a challenge presents itself, Lindsey decides to do something about it. Cookies in Heaven conveys hope and love. Harry O’Larry Moe Garrio by Phyllis McKinley. Harry O’Larry Moe Garrio is a monologue from a little braggart/hero who doesn’t let his small size diminish his personal stature in the realm of neighborhood adventure. beauty, history, and mystery of Paris. Blue Rock Rescue by M.R. Street. Thirteen-year-old Andy must overcome his fear of a raging river if he is to save the life of a friend. This action-adventure for tweens earned a five-star review from TeensReadToo.com. My Purrfect Persian by Janet Sierzant. A show cat named Gizmo was born with a defect. He feels unloved and ignored until one day a little girl finds beauty in his homeliness and adopts him. Address Unknown by Charles Warren. Marshall and his mother and sister become homeless. A bully, an irate girlfriend, a state investigator, an intuitive old woman, and a robbery complicate his life and add to his self-reliance. J.R. Timble and the Whiffler’s Dream by Christopher Day. A boy struggles with willpower and the sacrifice needed to fulfill his destiny, which helps save children from a pandemic that robs them of their hopes, dreams, and aspirations. Johnny and the General by Mary Lois Sanders. Johnny’s parents say he’s too young and irresponsible for the Continental Army. A meeting with Washington gives him a chance to prove his woodsman-skills useful in the fight for Independence. mystery only he can solve. Swimming with the Sharks by Debbie Reed Fischer. Torn by her conscience, yet seduced by the chance to be popular, high school junior Peyton gets sucked into a cruel bullying campaign aimed at the frumpy new girl. Bad Lattitude—A Jack Rackham Adventure by David Ebright. Fifteen-year-old surfers discover an ancient and dangerous secret, one that will force them to choose between fortune and friendship and change their lives forever. Run for It! by Tom Bender. Run for It! is a coming-of-age story. Witnessing a murder in Chicago in 1939, boys run for their lives. Their odyssey plays a part, however small, in U.S. entry into war. FIRST PLACE Vanishing Act by Joe Iriarte. Most adolescents feel invisible from time to time. For Chris Westbrook, though, it’s really true. Too bad his con-man father can’t see him as anything more than a meal ticket. Underground by Julie Riddle. A small town exacts revenge upon the people who live in it. Three teenagers must unearth a secret that has festered underground for generations before anyone else goes missing. Safe Passage by Sam Posey. On his grandparents’ isolated North Carolina farm, Nate comes face to face with the restless spirit of an ex-slave ancestor and a terrorist looking to prove his innocence. To help them both, unlikely allies must unite to resurrect the farm’s Underground Railroad to safe passage. her village believe. When their enemies attack, she is the oldest of twenty survivors. Following her visions, she leads the children west, away from their enemies, looking for the home promised to them by her Guardian Spirit. survival against witches, zombies, cannibals, and werewolves. “Lily” by Donna M. Kohlstrom. Love goes beyond the physical realm, continues in spirit, and is reborn even in death. “A Love Story” by Ria Falkner. 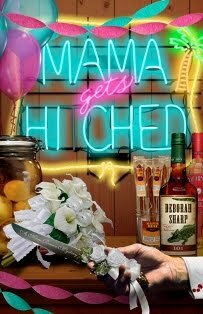 A mother has a forbidden love affair with a young man who leads them to their destruction. “To Go” by June Lands. An escape even into fantasy is an escape. “Peg” by Mary Lois Sanders. Peg, fourteen, remains behind when other slaves escape. The small daughters of her dying mistress need her care. But can she save them and herself from starvation or Quantrel’s Raiders? “The Day Hemingway Died” by Victor DiGenti. A man thinks he’s Ernest Hemingway. Maybe he’s confused, or maybe his brand of reality can teach a young girl about the meaning of life. “The Feast of Stevens” by Kristen Stieffel. On a space station far from Earth, animal iberationists inadvertently jeopardize thirty-eight innocent turkeys. The station’s cook, Stevens, ensures the fowl shall not have died in vain. “Why Me?” by Michael Ray King. A man out of his element revels in his fantasy when he beds a beautiful woman, only to find she’s not who she seems. “Blind Faith” by Marie Vernon. The story was inspired by an actual event in which a young man I know adopted a blind dog, but otherwise is pure fiction. “Fast Time, Slow Time” by Luke Francis Georgette. A content young man wakes from an accident to discover he hates everything in his life. He tries to relive experiences from his meticulous journals to find his old self. heartbreak, brutality, and devastation of war. Unintended Consequences—Lessons from a Life Almost Lost by Bill Shaner. One man’s story of surviving a near-death experience, overcoming paralysis, and the subsequent life lessons. Wife Number Six, the Secret Life of a Realtor by Thelma De Waal-Thompson. Wife Number Six recounts Thelma’s experience with psychics, and one prediction in particular about a man with dark brown eyes, wearing a ring given to him by his father. Cageliners by Robert Hart. Light-hearted vignettes based on personal experience about strange and various incidents and relationships between pet owners, pets, veterinarians, and their staff. Charting the Unknown: Family, Fear, and One Long Boat Ride by Kim Petersen. After the death of her daughter to SIDS, a woman attempts to face her fears by building a boat and crossing the Atlantic Ocean with her husband and two teenagers. Chuck and Bonnie’s War by Charles Watt. Chuck’s coming-of-age story set in the 1960s includes tragedy, sadness, humor, and much personal insight as he fights to learn who he is and what love and manhood mean. Wisdom.” Chronicling nine decades of tenacity, tears, and triumph, it is a classic twentieth century American success story. convent for a “normal” life. The Writer’s Guide to the Courtroom: Let’s Quill All the Lawyers by Donna Ballman. Everything fiction and nonfiction writers need to inspire their writing, help their characters navigate the civil justice system, and get their story right. Business Fraud: From Trust to Betrayal by Jack L. Hayes. Internal fraud costs U.S. companies nearly $1 trillion annually. To make matters worse—no business is immune. In this revolutionary book, you will discover a new way to combat fraud. lots of cash to start up. Some 550 valuable Internet links are included. St. Augustine Enters the Twenty-First Century by Karen G. Harvey & contributors. The transformation of St. Augustine and the county is described with references to the past, present, and future. Topics include archeology, back history, culture, historic sites and landmarks, and changing religious concepts. about encouraging moms to laugh out loud at the hilarious lunacy of motherhood. look at the adventurous life of yachting. “Meeting the Enemy” by Bob Lee. Northeast Florida’s most notorious “monkey fisherman,” Roger Gunter, sits down for an interview with his former law enforcement nemesis. Me. and reflects on the ties that bind. “An Answer, Without Question” by Ruth E. Jones. Questioning a life marred by multiple tragedies, including the deaths of her parents, miscarriage, and adoption mayhem, the author’s prayers are answered with miracles and meaning. “I Used to Believe” by Olivia Bissell. Memories of spiritual life as a seven-year-old girl prepares for First Confession and First Communion. “Lessons From the Pot Room Lady” by B.T. Petro. Working as a dishwasher at a cafeteria is hard and can get harder when you’re assigned pot room duty. If you ask her, the Pot Room Lady has some answers. “Northern Lights” by Renée Anduze. A woman comes to terms with her failed marriage when she steps back into the cosmos and encounters the Big Bang. “The Silver Lining” by Mary W. Bridgman. The author relates her experience with unexpected unemployment and offers several constructive suggestions for those in a similar situation. an effective model for bridging the great divide between theory and practice in early childhood education. “The Height of Power: Petite Women Speak of Stature” by Suzette Standring. This essay is about petite women and offers inspiring and humorous views about navigating the world at armpit level. “Unprincipled Antipathy” by Muriel McKinlay. An environmentalist has to resolve conflicting emotions in the ongoing war with ants. “The Garbage Man” by Shara Pendragon Smock. A garbage man experiences the unpredictable—ranging from keeping the truck from catching on fire to finding body parts. “No One’s There” by Michael Ray King. “No One’s There” is a poem that explores the struggle with sadness related to the woes of love. “Still Hear Your Words” by Christian M. Barraclough. A poem designed to resonate with anyone who has lost a parent, to give thanks and express gratitude for all they have done. “some small thing” by Phyllis McKinley. The poem “some small thing” is from a sequence of poems celebrating special times, special places. “Crickets” by Phyllis McKinley. The poem “Crickets” is from a sequence of poems celebrating the natural life of Florida, particularly around the poet’s retreat on Deer Lake. “One Ordinary Moment” by Phyllis McKinley. The poem “One Ordinary Moment” is from a sequence of poems exploring the path from grief and loss to healing and rejuvenation. The aquatic adventure begins? Please join Janeen Mason for the November *** publishing party for Ocean Commotion Life on the Feef (Pelican Publishing, 2010). It is written and illustrated by Stuart local, Janeen Mason. The fun takes place at the elliott Museum where Mason will autograph copies of her new book. Through rolling waves and a swirling light show, a brave hermit crab crosses a brilliant living reef as she tackles the ocean's obstacles on a quet to find a shell that fits. During her mission, she encounters such aquatic creatures as conch shells and shimmering jellyfish. Children, parents, and teachers alike will enjoy the colorful journey. An illustrated glossary includes information about the marine life featured in the story and an author's note explains the effects of pollution and climate change on the ocean. 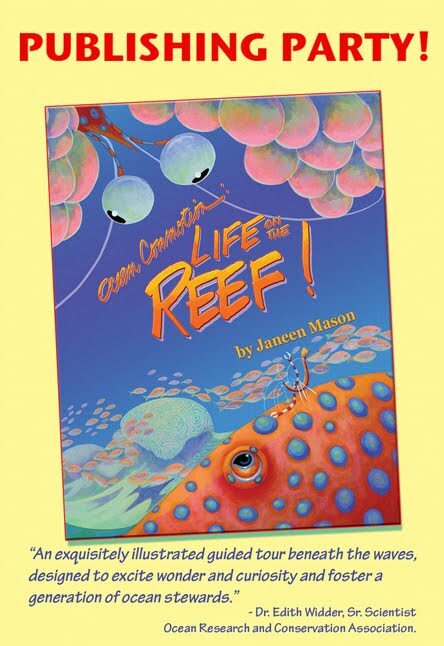 Janeen Mason has created a niche for her brillantly colored marine life artwork that includes distribution at the Audubon Acquarium of the Americas in New Orleans, Louisiana, Monterey Bay Aquarium in Monterey California, Nort Carolina Acquariums, Virginia Marine Science Museum in Virginia Beach, Virginia, the Florida Acquarium in Tampa, Florida, the John J. Shedd Acquarium in Chicago, Illinois, and the National zoo in Washington, D. C. Her work is printed on puzzles, note cards, and fine art prints. A solo exhibition of her original picture book illustrations is traveling through Florida Museums. Janeen Mason is active in Arts and Culture in her community and in the state. She is the Secretary of the Florida Council on Arts and Culture. 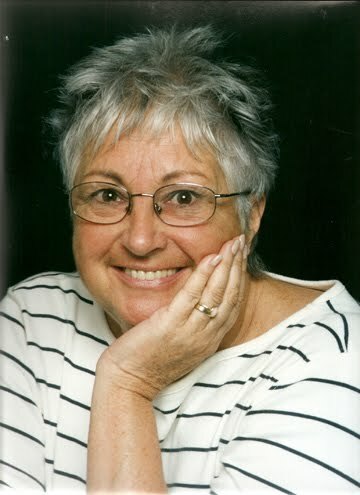 She's a member of the Children's Book Council, PictureBookArtists.org and she chaired the Public art Advisory Board in Martin County. She's the former Illustrator Coordinator for the Society of childrern's Book Writers and Illustrators in Florida. She serves as a member of the Board of Director of the Friends of the Blake Library. She received a Lifetime Achievement in the Arts Award, the Ben Franclin Award, the Moonbeam Children's Book Award, the U.S. National Maritime Literature Award, the iParenting Award, andthe Mom's Choice Award. Ms. Mason writes and illustrates from her home studio near the ocean that she loves in Stuart, Florida. 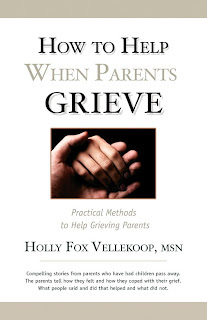 Holly Fox Vellekoop just learned that her book, How to Help When Parents Grieve, received the "Book of the Year 2010" award in the nonfiction category, from Books & Authors. The annual contest includes all genres with each genre having one winner and five honorable mentions. Books & Authors can be found online at www.books-and-authors.net where it "celebrates readers, writers, and their books." Holly was informed in July that How to Help When Parents Grieve is also a contender for the 2011 Pulitzer Prize in nonfiction. 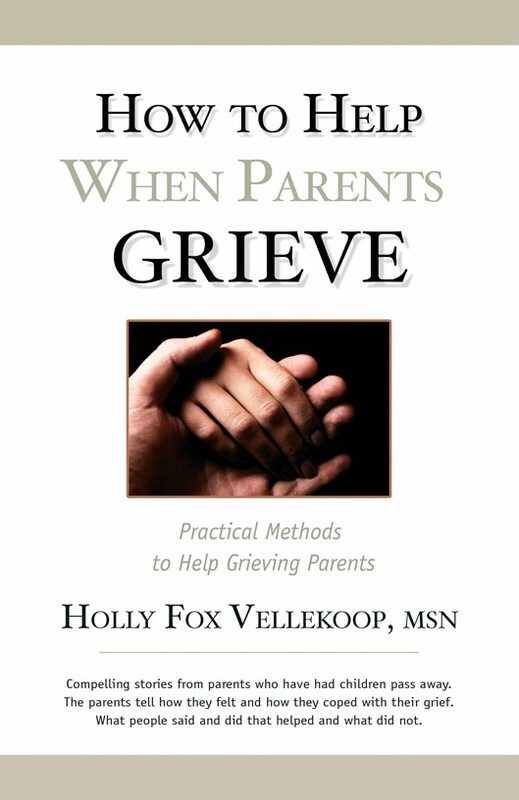 How to Help When Parents Grieve can be purchased online at BarnesandNoble.com and Amazon.com where it will soon be available for the Kindle and the Nook. It can also be purchased from the author at hvellekoop@cfl.rr.com. The Belly Button Fairy is not your ordinary fairy. Instead, this fairy is a grandmotherly figure who wears tennis shoes and flies around in her rocking chair. Bobbie Hinman has created a thoroughly charming main character for this story. I can't imagine that children wouldn't just flock to the Belly Button Fairy. In addition, Mark Wayne Adams has developed endearing images of this fairy and all her doings. The Belly Button Fairy does not multi-task. Her one job is to make sure all the babies receive only one belly button and that it is right in the middle. 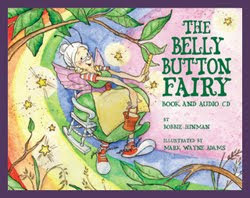 It is easy to see why The Belly Button Fairy has won several awards, including the 2010 Mom's Choice Medal Award. The story has a wonderfully fun rhythm to it and the images make you want to study each page to make sure you don't miss anything. As an added bonus, the book comes with an audio CD, complete with fairy songs and story narration. What a great addition to enhance the enjoyment of the book. Many aspects of Bobbie Hinman's life converged to inspire her writing. An elementary education degree and ten grandchildren certainly provided inspiration for creative expression. In addition to The Belly Button Fairy, Hinman has three other award-winning books: The Knot Fairy, The Sock Fairy, and The Fart Fairy. If you'd like more information about these books, visit the Best Fairy Books at www.bestfairybooks.com You can also purchase them through bookstores nationwide. FLAGLER BEACH, FLORIDA – Ocean Publishing’s premier novelist Victor DiGenti (Ponte Vedra Beach) was honored by the Florida Publishers Association recently at its annual conference and book awards in Sarasota. 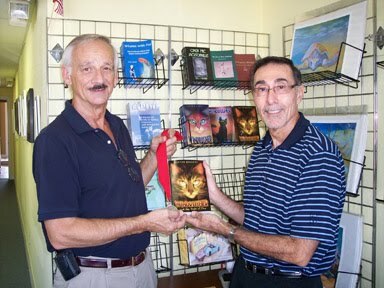 Frank Gromling, Ocean Publishing founder and publisher, presented the author with his medal and 500 labels for his book covers at the company’s oceanfront offices in Flagler Beach. DiGenti, who has won several awards for his writing, will be one of the primary speakers at the Florida Writers Association Conference on October 22 – 24 in Lake Mary, Florida. About Ocean Publishing: Established in 2002 by Frank Gromling, Ocean Publishing is an independent press specializing in nature, marine life, environment and conservation. For more information, visit www.oceanpublishing.org. About Victor DiGenti: After thirty-five years in public broadcasting working as a producer, director, fundraiser, and producer of the Jacksonville Jazz Festival, DiGenti turned to his first love—writing. He’s won multiple state and national awards for his first two Windrusher books and attracted readers of all ages from across the country. He and his wife live in Florida with their seven rescued cats. The St. Petersburg Times Festival of Reading (Sat., Oct 23, 10-4 pm) features a star-powered roster of more than two-dozen authors (including Michael Connelly, R.L. Stine, Sena Jeter Naslund, Michael Koryta, and Florida home girl, Deborah Sharp, author of the funny Mace Bauer Mysteries. The day-long, FREE event annually draws thousands of readers to the St. Petersburg campus of University of South Florida. 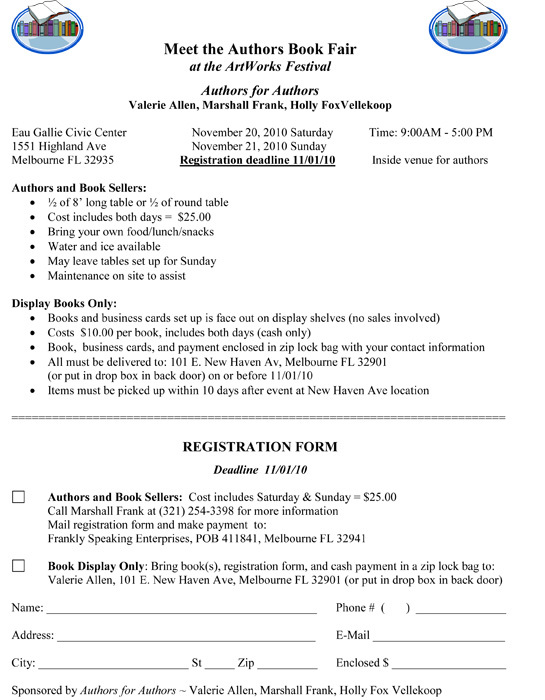 This has been put together by "Authors For Authors," a group consisting of Valerie Allen, Marshall Frank, and Holly Fox Vellekoop, three writers who create venues for authors' book sales. If you are interested in participating, get your reservation and fee in asap as these book fairs fill up quickly. All the info is on the flyer. Time is running out to register for the SpacecoasT Authors of Romance (STAR) November 6 Super Saturday with Agent Kristin Nelson and her client, author Linnea Sinclair. There are still slots open for pitches. They have added some new enticements in addition to their speakers. Door prize book bundles and raffles (donations for our scholarship/motivational fund) for writing related reviews from the following authors. You have to be there to win these writing raffles. They'll also have some great raffle baskets full of books of all kinds. COST: $45 for non-STAR members, $30 for members (includes a copy of Linnea Sinclair's "The Down Home Zombie Blues," and buffet lunch). Join them for a day of workshops including an agent/client panel, Kristin's latest on the publishing marketplace, Linnea's popular "HEAD GAMES: Writing Deep Third POV for Maximum Impact," and if time permits some cold reads. Kristin Nelson will also be taking pitches for those with completed manuscripts. These may be individual or group depending upon number of people asking to pitch. Slots for pitches are limited and will be based on registration dates. Registration will open for STAR members on September 8 and all others beginning on September 14. Deadline for registration will be November 1. Payments can be made through PayPal on their website www.authorsofromance.com or by check made out to SpacecoasT Authors of Romance and mailed to P.O. Box 410787, Melbourne, FL 32941-0787.
aggressive expertise in contract negotiation." Or contact sandymoffett@earthlink.net and please put Super Saturday in the Subject line. Troy Jones is currently the Production Coordinator for the Playwrights Workshop, a group based at Brevard Community College, Cocoa, Florida. The group has been in operation for over twenty years, and during that time has produced over two hundred original one-act plays from local playwrights. Troy is on the reviewing committee for new plays, and provides critiques to the prospective playwrights for their submitted work. 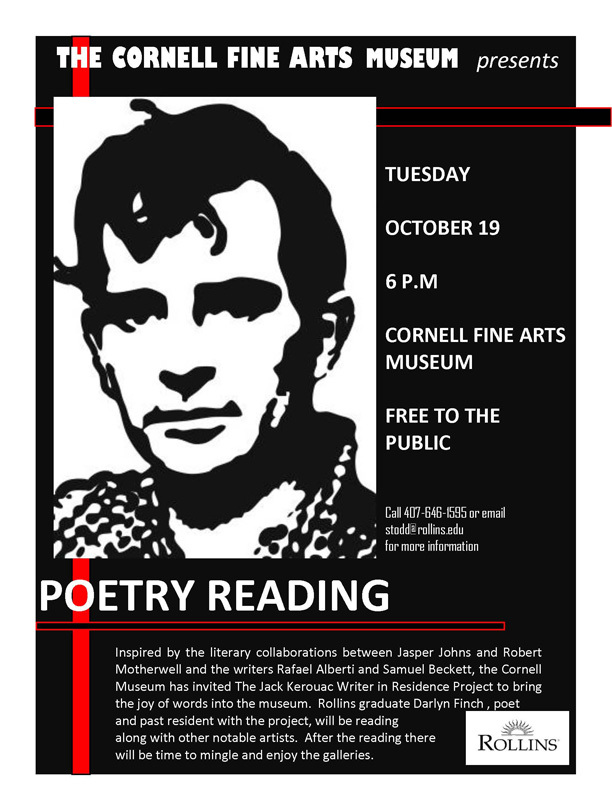 He, along with others in the group, provides additional feedback to the playwrights after public readings of their work. 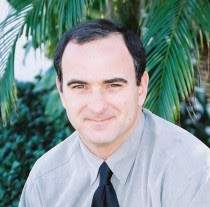 Troy has also served for many years as an adjudicator for the Florida High School Thespian Festivals, at which he has judged student playwriting and student directing. Troy has also directed full-length and one-act plays at local theaters. Congratulations to all the winners honored for book publishing excellence. HIGHLAND CITY, FL – October 11, 2010 – On Saturday, October 9, 2010, the Florida Publishers Association (FPA) presented its 2010 President’s Book Awards to members whose books were chosen as the best in 16 different categories and one special category. FPA association executive Betsy Lampe, president of Rainbow Books, Inc., Lakeland, FL, was the mistress of ceremonies for the President’s Book Awards Banquet at The Helmsley Sandcastle Hotel on Lido Beach, Sarasota. The evening awards program was part of the two-day FPA Publishing Ed-U-Conference, themed “Experience Speaks!” Participants attended presentations by nationally recognized book marketing expert John Kremer of Open Horizons in NM, FPA president Chris Angermann of New Chapter Publisher in Sarasota, and FPA-member publisher Kyle Miller of Jungle House Publications in Sanibel. Florida Publishers Association, Inc., now in its 28th year, is a non-profit, statewide professional association of publishers, self-publishers, authors and others interested in book publishing in Florida. It conducts numerous educational conferences, seminars and workshops throughout Florida and is affiliated with the Independent Book Publishers Association, the Association of American Publishers, Small Publishers Association of North America. It is also a member of the Florida Library Association and the Florida Association for Media in Education. FPA’s web address is www.FLbookpub.org. LONGBOAT KEY, Florida – Oceanview Publishing announces that it has joined forces with Amber Entertainment for the development of feature films and other entertainment media formats from its catalog of titles. One of the country’s leading independent publishers of original mystery/suspense/thriller titles, Oceanview Publishing, by year’s end, will have published 40 titles. The first title to be developed will be Ward Larsen’s The Perfect Assassin, which will be produced by Amber Entertainment’s Ileen Maisel and Lawrence Elman, with Oceanview founders Robert and Patricia Gussin and Susan Greger serving as executive producers. In the tradition of Tom Clancy and Daniel Silva, The Perfect Assassin is a tale of espionage and intrigue about a female American doctor sailing across the Atlantic whose boat is hijacked by an Israeli assassin. Created in 2009 by New Line Cinema veterans Ileen Maisel, Mark Ordesky, and Jane Fleming, along with renowned documentary and television producer Lawrence Elman, Amber Entertainment acquires and converts major intellectual property assets and brands into filmed entertainment. Amber Entertainment is based in London and Los Angeles. Oceanview Publishing is headquartered in Longboat Key, Florida. Oceanview is a proud member of the International Thriller Writers and Mystery Writers of America. You can find them on Facebook at: http://www.facebook.com/oceanviewpub. Follow them on Twitter @oceanviewpub. For more information, please contact Maryglenn McCombs by phone (615-297-9875) or by email (maryglenn@maryglenn.com). Enjoy a reading Tuesday October 19, 2010 6:00-7:00PM at Cornell Fine Arts Museum on Rollins College Campus, Winter Park, FL. Please spread the word! Darlyn Finch (past Kerouac writer in residence), Susan Lilley, Ilyse Kusnetz and current Kerouac writer in residence, Mona R. Washington. This is a fantastic collaboration with Rollins College and an exciting collision of the Arts Scene in Central Florida. 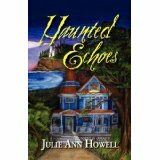 The Peppertree Press announces the release of Haunted Echoes by Julie Ann Howell. Haunted Echoes (ISBN: 978-1-936051-69-4, Hardcover, 202 pages, $19.95) is now available wherever fine books are sold. In Haunted Echoes, Howell introduces protagonist Sarah Reddington. Fresh on the heels of her first book release, Sarah, a Chicago-based novelist, should be having the time of her life, having just signed a contract for two more books. But Sarah hits a brick wall when struck with a paralyzing bout of writer’s block. On her publisher’s suggestion that a change of scenery might do Sarah good, Sarah and her faithful canine companion, Dickens, leave the Windy City to travel to the Cape Elizabeth, Maine, a quiet town on the Atlantic’s craggy shore. Leaving her bustling Windy City home for a slow, sleepy New England town is certainly a novel concept for finishing her novel, but this journey could prove stranger than fiction. As the only registered guest at the quaint but elegant Otter Cove Inn, Sarah is sure that this trip will be just the ticket to breaking free of the writer’s block to which she’d become a prisoner. But Sarah is about to become a prisoner to something far greater—and much more sinister. To her dismay and horror, Sarah soon realizes that she may be the only registered guest at this enchanting inn, but she is anything but alone—and escaping writer’s block is about to become the least of Sarah’s worries. From strange voices in the night, to haunting cries, to the eerie spirits that inhabit this haunted hotel, the Otter Cove Inn is full to capacity with bizarre forces intent on getting Sarah’s attention. Unable to differentiate between fact and fiction, Sarah is thrust into extraordinary circumstances when she discovers a key that could unlock a centuries-old secret. As the story unfolds, Sarah is propelled into a pulse-quickening quest to solve a mesmerizing 200-year-old mystery. Can Sarah piece together the clues before it’s too late? Or is this novelist about to be written off for good? Alternately charming and chilling, spooky and spellbinding, Haunted Echoes is a suspenseful—and supremely spirited—tale. An inventive and wildly entertaining ghost story, Haunted Echoes will keep readers riveted until the very last page. Julie Ann Howell is an avid speaker and author who authored her first book at the age of 10. Julie Ann’s passion for words inspired her to plant literary seeds enthusiastically all over the world. In 2003, she founded Pepper Tree Magazine, a literary magazine based in Sarasota, Florida, and later founded The Pepper Tree Press. Julie Ann is a member of the Florida Writers Association and the American Business Women Association. A longtime Sarasota resident, Julie Ann Howell is also the author of Finnigan the Dragon, Mrs. Owl’s Nest of Rhymes, and The Pepper Tree: How the Seeds Were Planted. She is currently at work on her next novel, Irish Jewel, which is slated for a Summer 2011 release. The Peppertree Press is an independent book publisher based in Florida. Members of the news media wishing to request a review copy of Haunted Echoes or more information are kindly asked to contact Maryglenn McCombs by phone – (615) 297-9875, or by email – maryglenn@maryglenn.com. 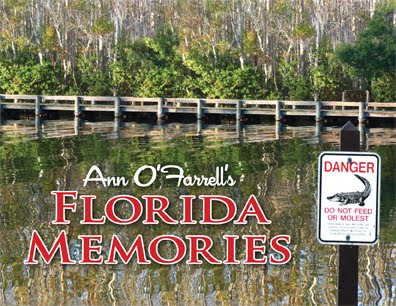 Irish writer, Ann O’Farrell, shares the love she has of her newly adopted home in her latest work, “Florida Memories.” This pocket-sized gem of a book is a collection of brief, eloquent, word pictures culled from a diary she kept when she first ‘Snowbirded’ in Florida. Ann, now an American citizen living full time in Florida, is better known for her Irish historical novels, “Norah’s Children” and “Michael,” so why did she decided to publish this mini-commentary on her new home? Currently 'Florida Memories' is only available via Ann's website: www.annofarrell.net but expectations are for it to soon become available in bookstores throughout Florida, and for more and more people to be able to share the answer that this is ‘Why Florida?’ In addition, with a retail price of only $4.50, the seventy-two page booklet will be easily affordable for both visitors and residents alike. Flash Fiction: a complete story with a defined beginning, middle and end not to exceed 650 words, excluding the title. Your prompt for this contest is the original art work by Mount Dora artist, Norm Rinne. The art work is on display at Pisces Rising in Mount Dora. Entries: The photo of the artwork can be viewed at www.writersoneflightup.com or www.partnersincrimepublishers.com All entries must be electronic and sent to the email address on the websites. Entries must be sent with a separate cover sheet. Put your name, address, email and phone numbers, preferably cell on your cover sheet. Entries must be typed in 12 point Times New Roman or Arial and submitted as a Word Document. You are limited to three (3) entries. Each entry must be submitted separately via email. The winners will be notified prior to the spring issue of Pulse (April). The first place winner will be published in the April 2011 issue of Pulse the Magazine. All winners will be published on the Pulse the Magazine website. All entries will be judged by the writers of Writers One Flight Up. First Place Prize: A Day in Mount Dora including a stay at the Heron Cay bed and breakfast, $100 in Dora dollars redeemable in selected Mount Dora retailers and restaurants, wine from the Wine Den, a carriage ride and various other offerings from local merchants. Second Place Prize: $100 cash from Pulse the Magazine. Third Place Prize: $50 cash from Writers One Flight Up. Oceanview Publishing is pleased to announce the release of And Then There Was One, by Patricia Gussin (ISBN 978-1-933515-81-6, Suspense, Hardcover, 312 pages, $25.95). And Then There Was One is available wherever fine books are sold. Patricia Gussin is a physician who grew up in Grand Rapids, Michigan, practiced in Philadelphia, and now lives on Longboat Key, Florida. She is also the author of Shadow of Death, Thriller Award nominee for Best First Novel, Twisted Justice, and The Test. She and her husband, Robert Gussin, are the authors of What’s Next For . . . For You? The Gussin Guide to Big Changes, Big Decisions, and Big Fun. Visit the author’s website at http://www.patriciagussin.com. Nine years ago, Katie and Scott Monroe were blessed beyond their wildest dreams with identical triplets, Sammie, Alex, and Jackie. But this tight-knit family unravels when the three little girls go to see a movie, but only one emerges from the darkness of the theater. How could Sammie and Alex vanish without a trace? Who took Sammie and Alex? Why? Where are they? When will they be found? And what if they’re never found, or not found alive? Until—or unless—Sammie and Alex are found safe, this picture-perfect family can’t be put back together again. 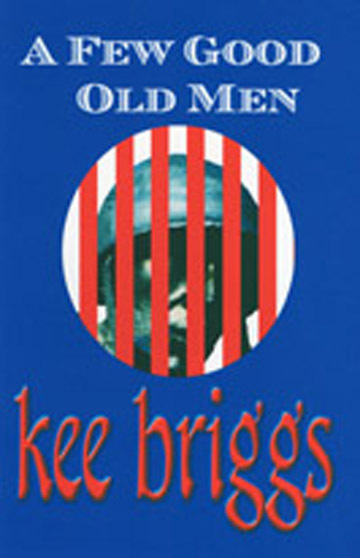 You can find more on Facebook at http://www.facebook.com/oceanviewpub and all of our titles at http://www.oceanviewpub.com. The Florida Writers Foundation, Inc., a 501(c)(3) non-profit charitable corporation, promotes literacy throughout Florida and enhances writing skills of children, youth and adults. 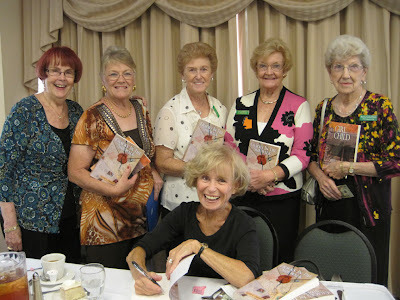 On October 21, 2010, the Foundation presents The Best of the Best at its Second Annual Full Writer’s Day Workshop at the Orlando Marriott, Lake Mary. “We had such a strong turn-out for the workshop we offered last year that we added four additional topics this year,” said Karen Lieb, President of the Foundation. This year’s topics are Warrior Writer by Bob Mayer, Novel in a Day by Vic DiGenti, From Query to Pitch by Molli Nickell, How and Why to Use Social Networking Tools by Mary Ann de Stefano and Chris Hamilton, and Screenwriting: From Idea to Big Screen by Chantelle Osman, Andrew J Robinson and John Castellano. As a convenience to FWA members, the Foundation planned its Full Day of Workshops for the day before the 2010 FWA conference, which is from October 22 -24. There is no membership requirement for those who are interested in attending the Full Day of Workshops on October 21. “Our purpose is to serve the public. Everyone who writes, no matter what their level or whether they are involved with any organizations, is welcome to attend,” Lieb said. The Foundation works to increase literacy through elementary school visits for reading days, sponsoring poetry contests, donating books to under-privileged schools, and contributing to middle grade writing contests. All donations to the Foundation are tax deductible, including the workshop registration fees. Receive an early bird registration special of $90 for FWA members and $110 for non-members before August 31. Beginning September 1 through October 21, the registration fee is $110 for FWA members and $130 for non-members. Workshops are held between 9 am and 5 pm. Snacks and lunch are included. View the homepage at www.floridawriters.net or contact Chrissy Jackson at chrissyj@floridawriters.net to locate the registration form. David and Aimée Thurlo have, together and separately, written more than seventy novels in a variety of genres. The Thurlos’ writing career began when Aimée was inspired to write a novel while David was teaching middle school. She sat down with legal pad and pencil, began a romantic intrigue, and soon found David looking over her shoulder whenever class was out. They quickly discovered that they could write with one voice, and their combined efforts resulted in books characterized by the unique stamp that defined their partnership in life and work. In addition to many romantic suspense novels, the Thurlos have written three different mystery series, each featuring a very different primary investigator. In the Sister Agatha series, mysteries are solved by a nun; the Lee Nez series features a partnership between a Navajo vampire and an FBI agent. Their flagship series of Ella Clah police procedurals is set on the Navajo Reservation; Ella Clah is a Special Investigator for the Navajo Police Department. The Thurlos’ novels have been translated into many different languages and are available around the world. Their books have been widely praised by reviewers and critics and have received starred reviews in Publishers Weekly and Booklist. The Thurlos have received the Romantic Times Career Achievement Award, a Willa Cather Award for Contemporary Fiction, and the New Mexico Book Award for Mystery and Suspense. They’ve made the Amazon, Barnes and Noble, and Borders national bestseller lists. Their vampire series has been optioned by a Hollywood production company. Bob Brown, who wrote the Bermuda Suicide Challenge and Running for Fun, now has producer Michael DiCarlo working on the documentary film "Cross The Atlantic" from a voyage Bob and Ralph Brown took in 2009. They took an open fishing boat (flats boat) 8,312 miles in the North Atlantic from Fla to Germany. The three minute trailer is now available for viewing, it can be located off the website: www.crosstheatlanticfilm.com on the link (picture on bottom of page of boat with icebergs).